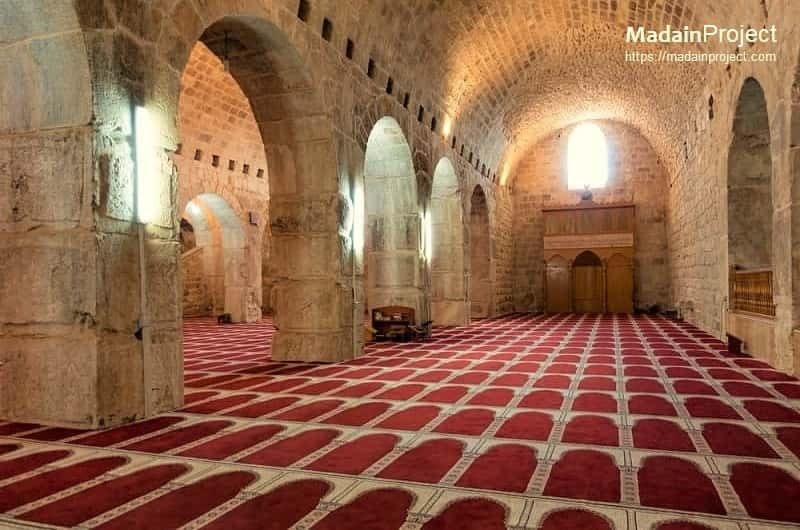 Today known as the Marwan-i Mosque is an underground vaulted space some 600 square yards (500 square metres) in area, at the bottom of stairs which lead down from the al-Aqsa Mosque. Modern entrance to the structure, from within the Haram al-Sharif. The structure is most widely said to have been built by King Herod as part of his extension of the platform of the Temple Mount southward onto the Ophel. 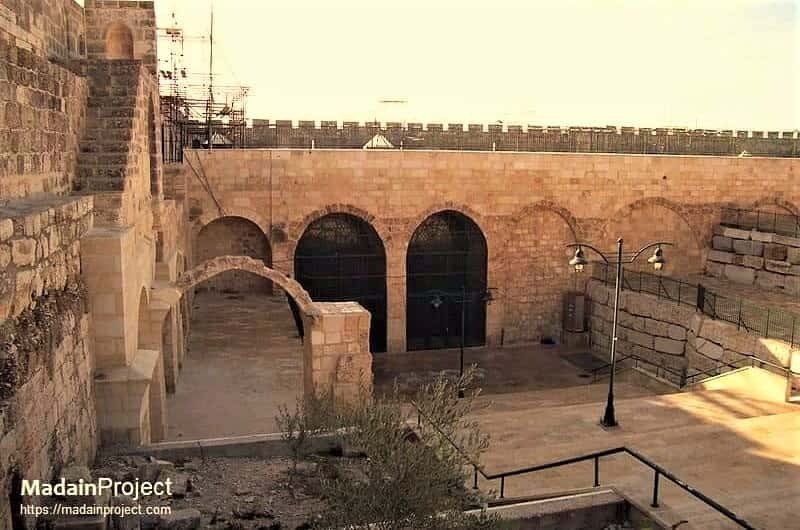 The structure has been called Solomon's Stables since Crusader times as a historical composite. 'Solomon's' refers to the First Temple built on the site, while the 'stables' refers to the functional usage of the space by the Crusaders in the time of Baldwin II (King of Jerusalem 1118-1131 CE). The structure during the transformation in to mosque for prayer for occasional rainy days of the holy month of Ramadan. 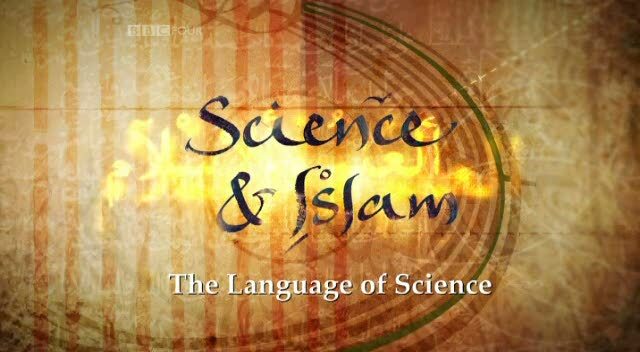 In December 1996 the new mosque was officially inaugurated as El-Marwani Mosque. Mehrab e Daood (Prayer Niche of David) is also visible in the upper right corner. 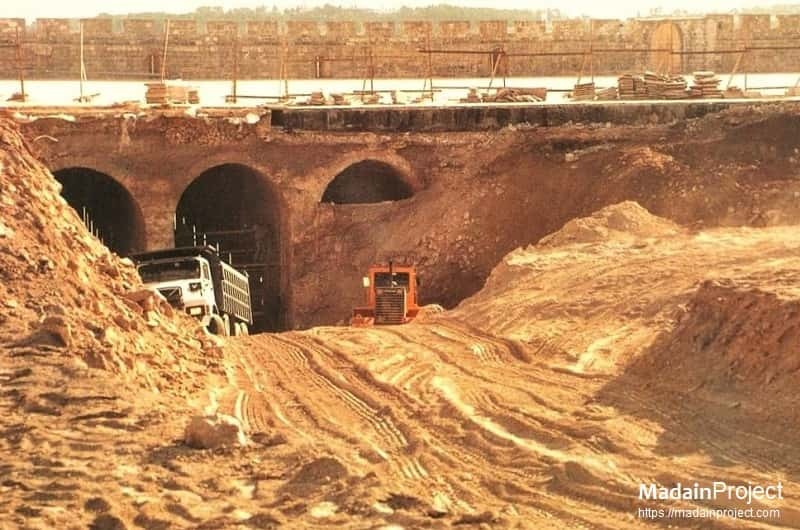 Herodian engineers constructed the enormous platform as a series of vaulted arches in order to reduce pressure on the retaining walls. 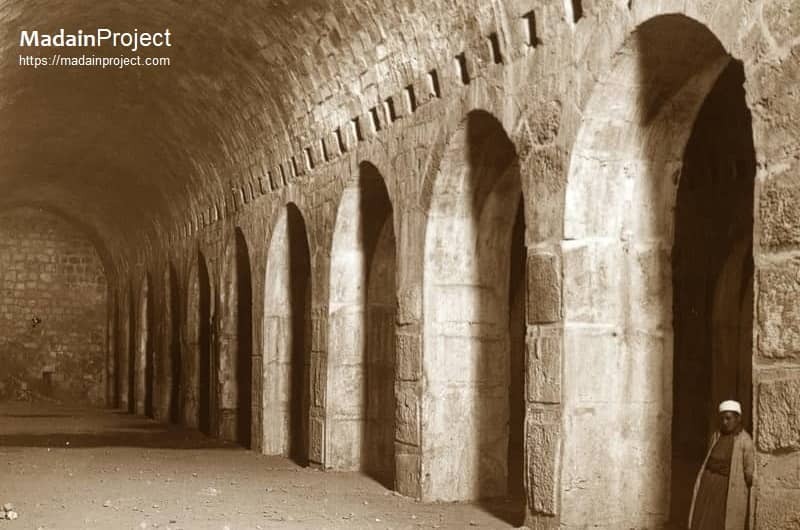 These vaults, "supported by eighty-eight pillars resting on massive Herodian blocks and divided into twelve rows of galleries", were originally storage areas of the Second Temple. 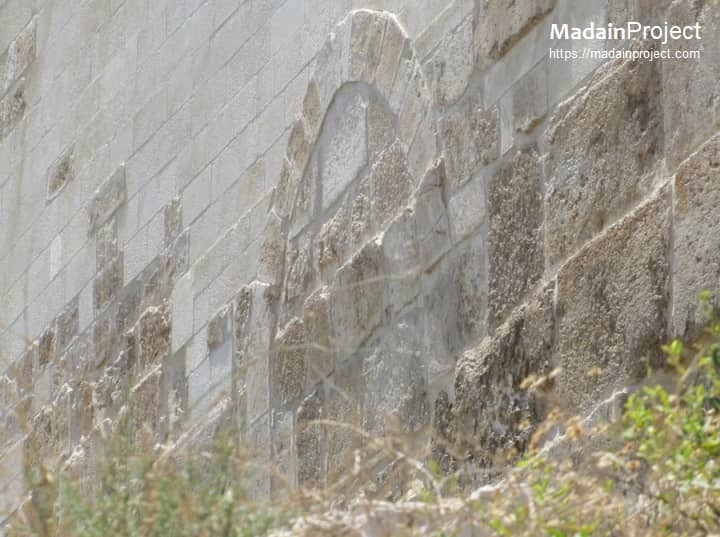 Stairs leading to the south-eastern chamber (upper left) commonly known as the Maqam e Maryam Place of the Virgin Mary. This is a small room containing a domed cavity in the floor, according to the tradition this is the site of cradle of Jesus, where Mary placed him at the age of 40 days. The main mehrab of the Solomonian Mosque, a great deal of the original interior survives in the area of the Herodian staircases, although not in the area now renovated for use as a mosque. Visitors are rarely permitted to enter the areas with Herodian finishes. A walled up Crusader era entrance to the under ground caverns in the Southern Wall. 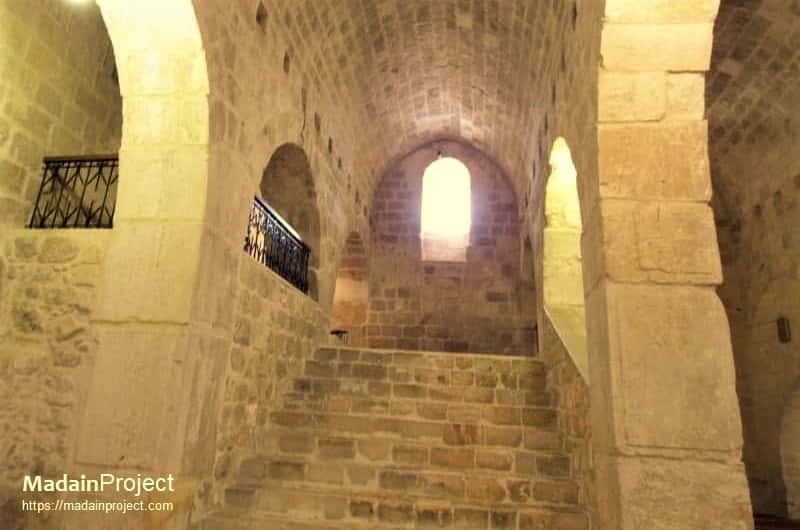 After the fall of the Jerusalem in 1099 CE, Crusaders opened up this entrance in to the underground structure to use it as stables, thinking that this was the stable of Solomon. The underground space for the most part remained empty except for the Crusaders period. The Crusaders converted it in 1099 into a stable for the cavalry. The rings for tethering horses can still be seen on some of the pillars.